When familiar no longer works you are ready for the next step, upgrade, adjustment. I had an experience this month where I was left suspended in a vibration, which felt uncomfortable and unsolvable. No tools I have accumulated over the years could successfully be applied to that situation. I fought against it, resisted, projected my frustration onto external and that is normal human reaction when we are up against something that is problematic yet feels like it can’t be fixed. I understood my reaction well to that state as a natural push against something that I felt needed to be fixed or changed. Also to mention that surrender to a situation or a feeling state (one of my tools) also didn’t work. In terms of elements, which I often use as a model when working with situations and parts of myself I couldn’t describe for the first time which element I was manifesting in my reality. That was the thing that really struck me as the elements always work for me in a simple way to help me understand what is distorted, what I am lacking and what needs to be introduced into the mix. Nah, not this time. There was suspension of all possible ways I have gotten to know to work for me so far in my life. I should also mention that my ‘magic’ seemed to have gone to sleep. There was access to that either. I became curious about,firstly , what it was about that didn’t allow my known methods to work. It felt like there was an opening for something new to come in. I was meant to learn a new way, take a different step towards resolution and wholeness within myself. I was ready to engage with material completely new and it felt like there would be risks involved, super sharp mindful awareness in every moment and not abandoning myself under no circumstance, which simply only delays the process of learning and integration. At this moment in time all I have is an awareness of the above having taken place. I am curious to what this will lead to. It feels like I am working through something on my way of becoming something new. Nothing is new within us, of course, there can only be something that we forgot or rejected perhaps. What’s coming up is more shadow work, I feel and whenever that happens I feel excited. Why? Because shadow work always leads to liberation, unleashing of what has been hidden yet can be used in a valuable way. It’s like fining a black box and feeling the excitement of opening it and not knowing what one would find yet it feels like home, you, a gift. And the work is to work out what that is. I now remember feeling this way back in summer 2016 when all tools were taken away and I was forced to look at my physical reality manifestations. It forced me to get engaged with myself on a serious level, really look at myself in the mirror as the only thing available. I felt I didn’t quite get it that time and therefore, missed an opportunity to upgrade. Now I am being given the second chance and I am ready! Always question how you feel, observe how you behave and what your thinking is like. Be with yourself always and whenever something doesn’t feel right stop and explore it’s meaning. It’s not that we are doing something wrong it’s about becoming something new. 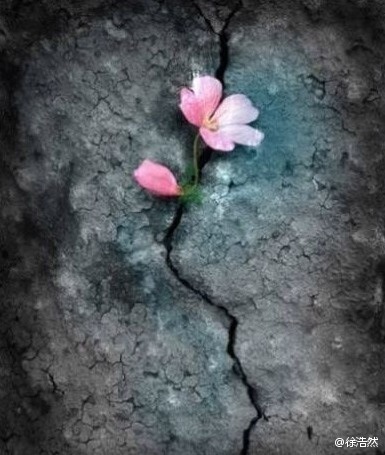 Something is always growing within of us to be known.